In our third Fringe Centre blog, Alena Ledeneva of UCL SSEES discusses invisibility and informality. In the beginning was … blat. The colloquial Russian word blat, best remembered as Bacon, Lettuce And Tomato, and just as common as BLT, refers to practices of getting things done through personal contacts. It was the knowhow of survival in the Soviet Union, totally invisible for outsiders but vital. The idiom ‘po blatu’ (‘through acquaintances’) was colloquially widely used but banned from official discourse. It certainly does not feature in any of the editions of the Great Soviet Encyclopaedia. As Joseph Berliner, the pioneer of the Harvard Interviewing Project, observed: ‘If we were totally reliant on the written sources of the Soviet society, we might hardly have guessed the importance of blat’ (Berliner 1957: 184). Just like most economies of favours – guanxi in China, jeitinho in Brazil, kombinacja in Poland, pituto in Chile, veze and vruzki in South Europe, wasta in the Middle East and torpil in Turkey, invisible for outsiders but common in their own societies – blat practices are associated with sociability, i.e. the use of personal contacts or networks, but also serve the instrumental purpose of gaining influence or accessing limited resources. 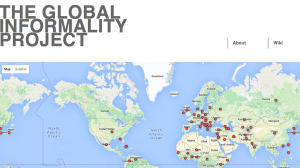 The Global Informality Project, led by the UCL School of Slavonic and East European Studies and the UCL IAS FRINGE Centre, provides the first multimedia online resource that explores such informal practices and local knowledge in a global perspective. Quite literally, we put local ‘ways of getting things done’, understood by insiders but invisible for outsiders, on the map, and develop a global collection of authored contributions, including ethnographic investigations, socio-economic analyses, historical expositions etc, and also provide visual images that are representative of informal practices. We also aim to establish informal patterns that elude discipline-based method and area studies focus. 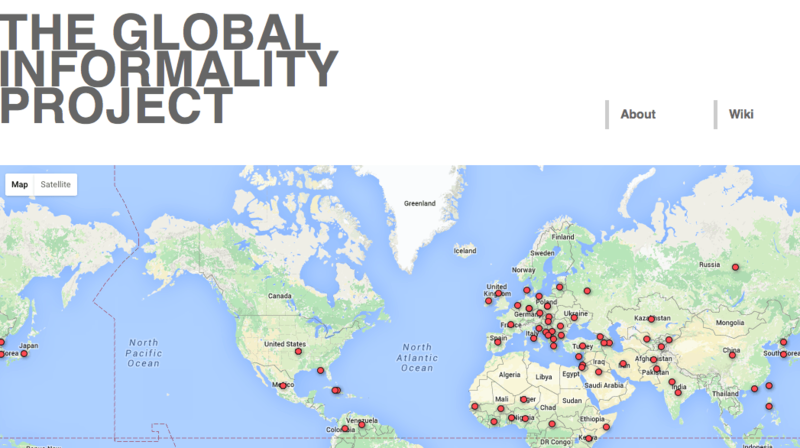 The project plan includes the online version of the Global Encyclopaedia of Informality, the World Map of Informality, open access publications and FRINGE workshops. In the second of our series of blog celebrating the launch of the UCL SSEES FRINGE centre, Peter Zusi considers the letter R – for resistance. 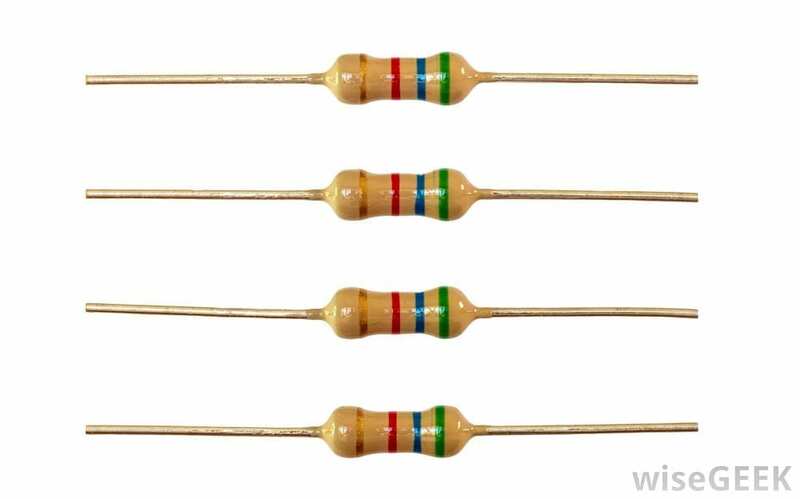 The adjacent picture shows electrical resistors. This might seem a lame joke, a crass way of illustrating a concept so abstract and politically portentous as ‘resistance’. 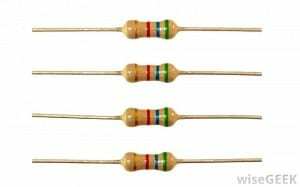 But behind this lies something more serious: In Poland in the early 1980s, under Martial Law, these miniature, multi-coloured electrical components were often worn, pinned to a sweater or the lapel of a jacket, as a small symbol of resistance to the governing authorities. Two facts stand out in the present context. First, this disarmingly humble gesture reveals that resistance has a tendency to seek out symbolic forms. Even in situations where the luxury exists of expressing resistance openly and explicitly (and historically such luxury has been rare) resistance cannot resist redoubling its message through simple symbols: the peace sign, the jingling of keys, the improvised shantytown put up in the sight of the privileged. And often the events associated with resistance movements assume, almost despite themselves, shocking or triumphant symbolic significance, such as when a peaceful march crossing a bridge is halted through violence, or an ugly concrete wall is torn down. In short, while resistance appears in the first instance a social or political category, it is drawn inexorably into semiotic systems that bring it into traffic with cultural expression. It is no coincidence that resistance movements so often produce iconic music, rhetorical performances, and literature. 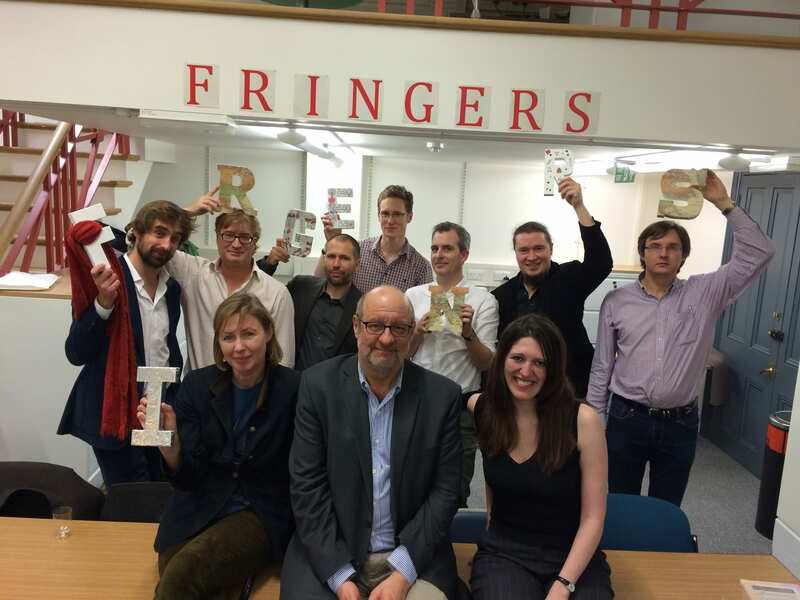 At the launch of the FRINGE Centre on 3 December 2015, each of our core academics took possession of one letter within the FRINGE acronym, deploying the letter itself – its possible meanings and associations – as a point of departure for explaining how their own research (mis)fits within and (mis)interprets the broader FRINGE agenda. 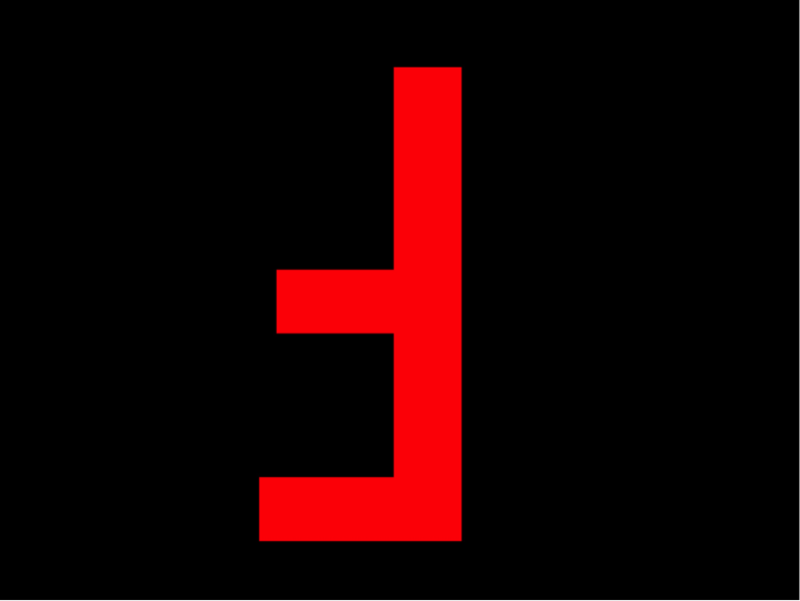 The letter F was Michał Murawski’s, whose research will result in the first core FRINGE project of the 2016-2017 academic year. Formally, I think, the F in the FRINGE acronym stands for fluidity or flexibility. And, indeed, there is an unmistakable centrifugal sort of dynamic driving FRINGE: it’s all about the breaking down and casting asunder of disciplinary boundaries, as well as of imploding and reconfiguring tired old notions of which areas the world is divided into, and how these areas work. But F also stands for fluidity’s antonym, for firmness, for a terra firma – boundaries and borders are real: in order to break them down you need a solid, well-funded operating centre from which to launch your frontier-smashing insurgency. And I think this is what FRINGE tries to provide, a fortress for the fluxification, reconfiguration and setting on fire of frontiers. FRINGE is a fortress for fermenting, in other words, an agenda for what might be called Critical Area Studies. On Thursday 3 December, UCL SSEES launched an exciting new project: the FRINGE centre, an interdisciplinary collective of scholars dedicated to exploring all that is Fluid, Resistant, Invisible, Neutral, Grey and Elusive. The launch was held at the Common Ground space in the UCL Institute for Advanced Studies, and featured 8 mini-presentations from SSEES academics on how their projects relate to the concerns of the FRINGE centre. To mark the launch, SSEES blog will be publishing a series of blogs based on these presentations, but we begin with a re-post of a recent interview given by FRINGE director Alena Ledeneva which outlines the centre’s aims. The interview was originally published on the UCL website. For more see the FRINGE website. You have just started your role as Director of FRINGE Centre, an initiative founded and funded by the UCL SSEES and housed at the UCL Institute of Advanced Studies. Tell us more. The FRINGE Centre has been a result of a constellation of factors. Intellectually, it emerged as a cross-disciplinary, cross-area platform for those intrigued by the social and cultural complexity, especially where it resists clear-cut categorisation, visibility or measurability. Tensions and paradoxes constituting social and cultural complexity have been duly reflected in the oxymoron The Fringe Centre. The diversity of the Centre’s intellectuals became the founding principle of consensus. Last but not least, the support of SSEES and its Director Professor Jan Kubik have been vital.